360oandp is pleased to provide a public compilation of knowledge and experiences! If you are interested in submitting an article for presentation on the 360oandp website, please contact the 360oandp Editor at (813) 989-0360 for submission policies and procedures. 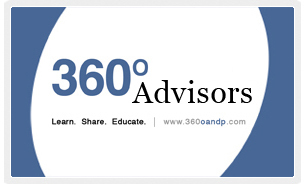 If you are a medical professional and would like to become a recognized 360 O&P Content Advisory Board member, please call (813) 989-0360 for details. Dr. Hira is a specialist in Physical Medicine & Rehabilitation as well as Electrodiagnostic Medicine. Dr. Hira completed his specialty training at Thomas Jefferson University Hospital and medical internship at Frankford Hospital (Philadelphia, PA). Thomas Jefferson University Hospital has been ranked as the top hospital in Philadelphia for Orthopaedics and Rehabilitation Medicine by U.S. News and World Report in their 2006 Best Hospitals survey. In addition, it serves as the regions acute traumatic spinal cord injury center. Greg Bauer is a certified and licensed Prosthetist/Orthotist and president of Westcoast Brace & Limb, a family owned company since 1981. He received his Bachelor of Science degree in Entrepreneurial Studies from Babson College in 1995. He then went onto Cal State University, where he received degrees in both Orthotics and Prosthetics. He has received certificates for C-Leg Systems, Utah Arm, Myobock Upper Extremity, Advanced training in Silicone Restoration, Advanced training in Carbon Fabrication, Oregon Orthotic Systems, and for various designs of scoliosis bracing. He specializes in Upper Extremity prosthetics, specifically with myoelectrics and silicone restoration. He has an active presence within the community, as a Board Member and Treasure to Self Reliance, as well participating on the Advisory Board at St. Peterburge College for Orthotics and Prosthetics. Greg also provides community lectures throughout the Tampa Bay area to Occupational/Physical Therapists as well as other allied health professionals. Elizabeth Carlstrom is the Founder & Owner of O&P Business Solutions, est. in 2004, where she provides business consulting, employee training, annual claims & billing symposiums and teaches/speaks on numerous PCE business courses. She has served as the administrative secretary for the Texas Association of Orthotists & Prosthetists for the last five (5) years. She has 20+ years in the Medical Field, over three years in the Insurance Industry, and has been in the O&P Industry since 2001. Jennifer Latham Robinson is an amputee advocate, Amputee Coalition of America (ACA) Certified Peer Visitor, and part of the Amputee Case Management team at Westcoast Brace & Limb, where she coordinates care for amputees. Jennifer was born with bilateral Proximal Femoral Focal Deficiency (PFFD) and wears an above knee prosthesis. After graduating in 1999 with her BA in Humanities from New College in Sarasota, Florida, Jennifer began pursuing her career in the prosthetic field. Les Bauer is a certified and licensed orthotist and director of Westcoast Brace & Limb. He received his Bachelor of Science degree in 1966 from Curry College and a Medical Technology degree from Princeton Hospital in 1967. He studied orthotics at New York University. He became certified in orthotics through the American Board of Certification in 1975. Les worked with his father, Jules Bauer who also was an orthotist, until 1981 at which time he founded Westcoast Brace & Limb. Les has published numerous articles some of which include: "The Responsibility of Health Care," "Spinal Orthotics," "Exercise Regimen for Scoliosis" and "Pediatric Orthotics." Les developed the Inflatable LumboSacral Orthosis (ILSO), which is distributed nationwide by the PMT Corporation and the Kaliper Orthosis, which is used for tennis elbow. Les specializes in spinal, lower extremity and pediatric orthotics.